Hospitality industry always seeks better solution to increase staff responsiveness to customer, in order to attend enhanced customer satisfaction. 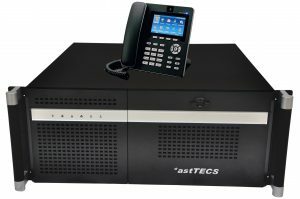 *astTECS IP-PBX solution for hotels offers the product to increase staff efficiency at reduced operational cost & overheads. A completely integrated telephony solution which will facilitate better communication in hospitality section. *astTECS IP PBX for hospitality industry is built on open source standards & is flexible to adopt & integrate with your existing infrastructure. You can now easily provide superior customer services. 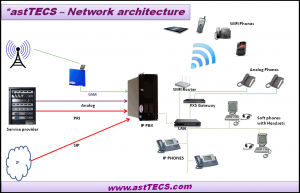 *astTECS introduces series of IPPBX systems that satisfy the requirement of hospitality industry. Be it a small size hotel with 50 rooms to larger hotels up to 500 rooms, *astTECS has the right fit for your requirement. With our cluster based solution & customization, the product is capable of delivering robust solutions even for More than 500 Rooms, ideals for Reosrts, Motels, Serviced apartment, Guest houses. 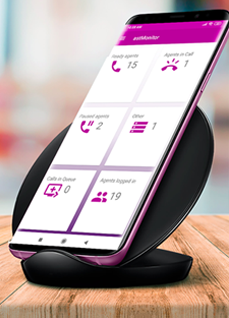 Achieve proper connectivity at every corner of your hotel, *astTECS IPPBX system easily integrates with devices like Softphone, Smartphone, tablets, Laptops etc… so even if you are in Bar, Near to pool, reception, or any where in the premises you are always connected. *ast eHOT-50 – Upto 50 Rooms / Extenstions, Asterisk Installed. *ast eHOT-100 – Upto 100 Rooms / Extenstions, Asterisk Installed. *ast eHOT-100 – Upto 200 Rooms / Extenstions, Asterisk Installed. *ast eHOT-300 – Upto 300 Rooms / Extenstions, Asterisk Installed. *ast eHOT-500 – Upto 500 Rooms / Extenstions, Asterisk Installed. Activate DND on Guest Room phones, by pressing short code digit key for room phone, and from the front desk terminals. Callers can leave a message and the assigned client and the client can listen to the voice mail by dialing the pin number. Option to forward call to voice mail, guest can even forward room phone calls to their mobile numbers. Callers will have an option to leave there voice message and the same can be sent to the assigned client inbox. Block Internal calls between Guest room permanently, Block internal calls between guest room during Certain period of Day; For example During night time.